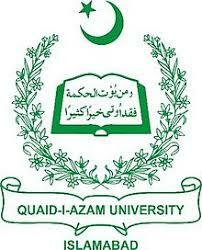 Islamabad, Quaid-e-Azam University Islamabad has declared the QAU MA/MSc & BSCS result 2018. The exams department of Quaid-e-Azam University has announced the QAU master / BSCS result 2018 with the complete information and updates of the result. The result will check their names and father name and status with marks by downloading their QAU master and BS (CS) result 2018 annual exams part 1 and 2.